The Amazon.com Kindle was the first eBook reader that really made an impact. 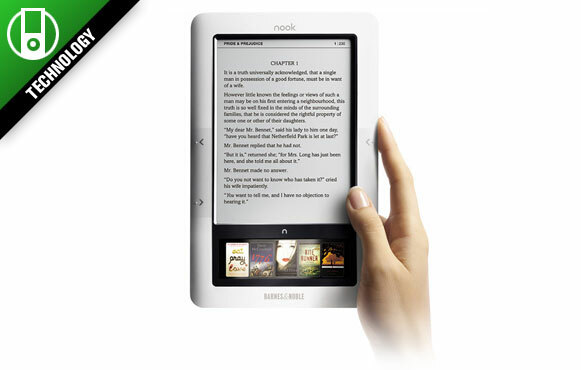 However, the newly announced Nook from Barnes & Noble is a very good gift idea for a book worm or technology geek. The native PDF support and color LCD screen in addition to the eInk screen makes this reader the most advanced one yet. The panel is sold out until Jan. 4, but you can still give the gift in the form of a Nook gift certificate. For those who want to give a gift that can actually be under the tree in time for Christmas, the Amazon Kindle is still a great option.